I'm so excited to be decorating for Valentine's Day. Wood Creations has the cutest Valentines crafts available right now. I had a hard time choosing one to work on. I finally decided on the Sweet Hearts Set, and I "love" how it turned out!! Once you've sanded the letters/shapes, it's time to paint! 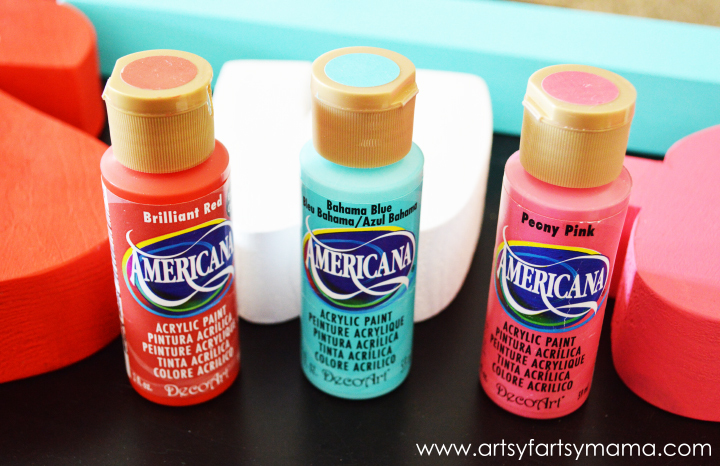 I used DecoArt Americana Acrylic paints in Brilliant Red, Bahama Blue, and Peony Pink. Each letter and the heart shapes got two coats each, and the block got three coats. Let the paint dry completely between coats. 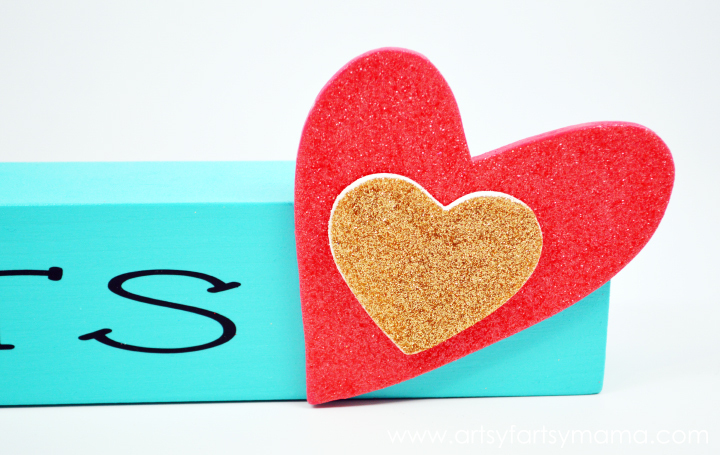 Once the paint is dry, apply the "Hearts" vinyl that comes included in the kit. Place the vinyl closer to the left side of the block so you will have room to glue the wood hearts on the right side later. Set the block aside. 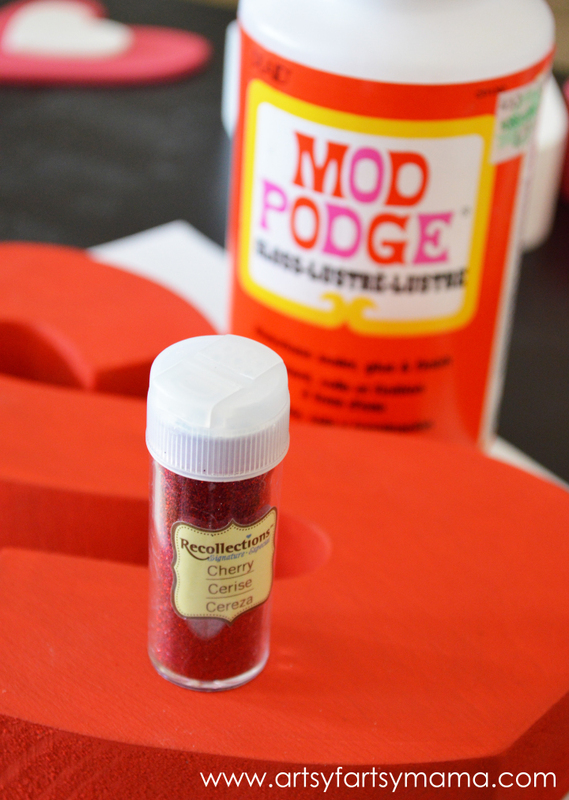 When the paint on the letters is dry, get out your Mod Podge and glitter. 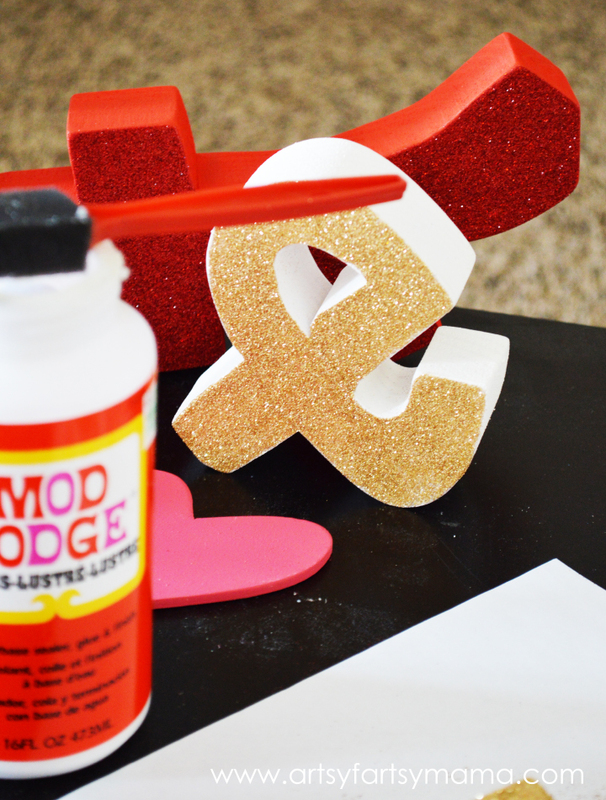 Work one letter at a time, and paint the Mod Podge on kind of thick with a sponge brush. I used the Recollections glitter in Cherry, Taffy, and Gold. I really love the Recollections glitter because the lid comes off - which makes putting the extra glitter back a snap! The texture is also perfect for these kinds of projects. Lay the letter on a scrap piece of paper, and pour your glitter over the letter. Make sure all the Mod Podge is covered. Let sit for a few minutes. If you're feeling multi-functional, work on multiple letters/papers at a time. 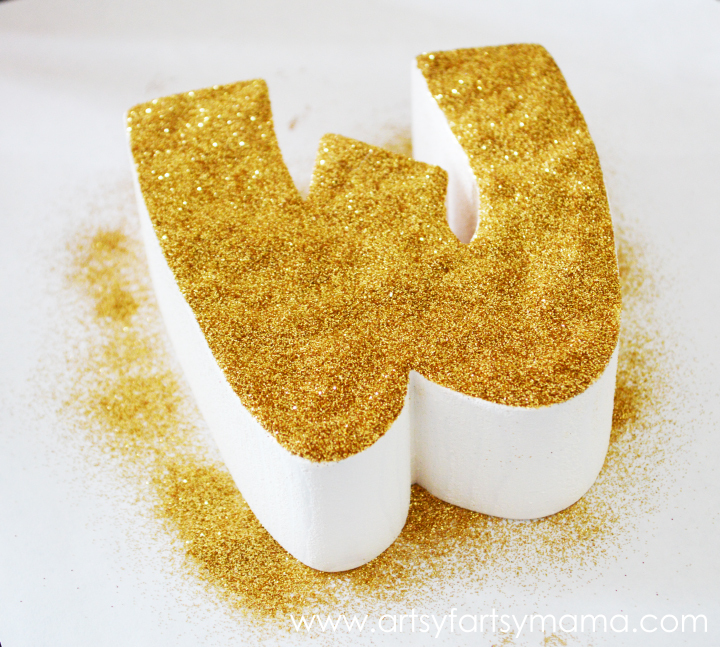 Carefully stand the letter up over the paper, and tap off any excess glitter. Bend the paper slightly in half and pour the extra glitter back into the container. You could also use a small funnel if you want to make less of a mess. Once all the letters and hearts are all covered in glitter (yay!! ), glue the small heart onto the large heart. 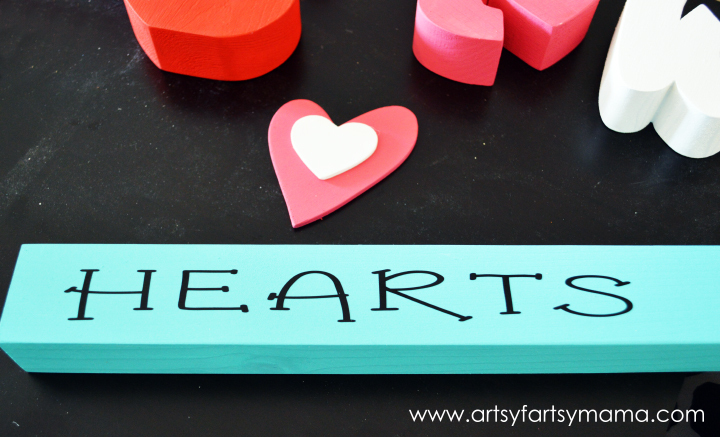 Once dry, glue the hearts onto the block. Let dry completely before moving. If you attach with hot glue, it should set pretty quick. If you use something like E6000, let it dry overnight. Spray the entire set with clear spray paint to help keep the glitter in place. Place the set on a mantel or shelf, and get ready for Valentine's Day!! These are fun to make on your own, or visit Wood Creations and make it a girl's craft night!! The amazing Wood Creations is also letting me give away a Sweet Hearts set to one lucky reader!! Wood Creations has locations in both Utah and Idaho, or you can order online. Follow them on Facebook to see new crafts and sales! The giveaway ends on Friday, January 31st. Disclosure: I received product from Wood Creations, Recollections, and DecoArt. All opinions are my own. I'm not picky!!! I love crafting ANYTHING - so fun!! Love the "be mine"... what a cute project!!! I like the XOXO project. How fun! So cute! I love the glitter! It's so glittery I'm gonna die! LOVE IT!!! Oh my gosh. I NEED the adore. It is my husbands and I inside joke! My favorite is chocolate kisses valentine wishes. Love the love word set! Ditto the love word set! I like the Sweet Heart Candy set! I like the key to my heart! Fun giveaway, and I love your project! Sweet on you cupcake! I LOVE your project, Lindsay! be mine or key to my heart. Thanks for the giveaway! 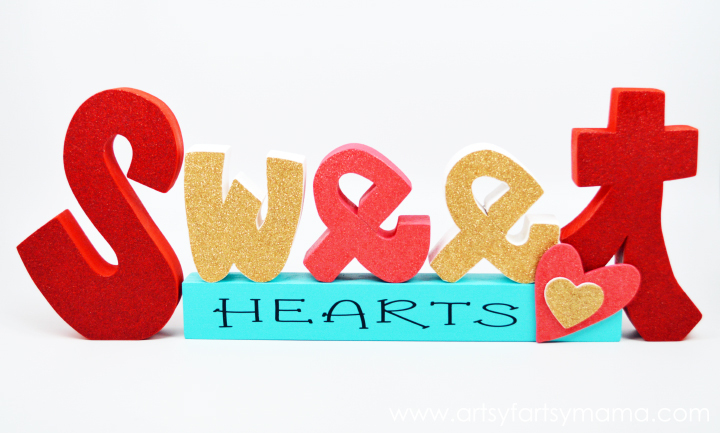 I love the Hugs & Kisses craft. So many cute options! I love the 14! You project turned out so cute. I love the glitter! I love "Will you be my tweetheart"
I love the Large Love word set! I love the blue you used in this. I wouldn't have thought to put blue in a Valentine's craft but it's really cute!! I love everything the have there! Yours turned out so cute! I love the hearts on posts, they can go anywhere. I love the Be Mine project! I love all of those crafts! I really like the love word set, the hugs and kisses, and the tweethearts! I was dyeing this sweetheart set earlier this week! So cute! I really like what you did with letters... They came out very pretty!!! Very pretty... Love how they came out!!! I love your sweetheart set but I also really like the Xoxo set! CHocolate kisses and valentine's wishes is our style!! Glitter it up! Love love love this! Of course the glitter makes them ADORABLE! This is SO adorable! Now I totally want it in my house! Fun, festive, and glittery; what could be better? I love the hearts stacking. So cute.